Veneto Noce 12X24 Matte Porcelain. 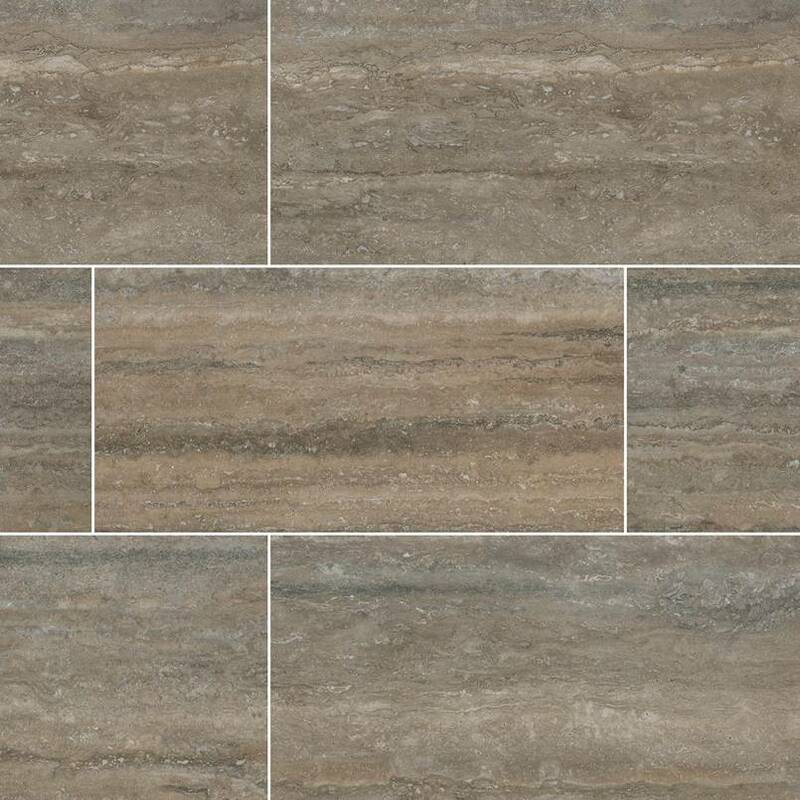 SOLD BY BOX OF 8 TILES = 16 SQ FT.
Veneto Noce 12x24 0.35" thick rectangular porcelain glazed with Matte finish plank tiles are a mixture brown shades and grey under tones with significant movement throughout. These tiles are one of the most popular choices for flooring where you are looking for the stone look and lazy enough to maintain. Also available in 6x24, 16x32 and even a matching baseboard. These tiles are recommended for interior and exterior use in residential or commerical projects for flooring or wall applications.